Make your big day a reflection of yourself. 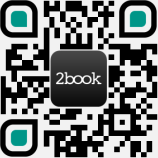 2book helps couples break away from the usual event venues and allows them to find something special. We make it easier than ever to sort through your options and pick the perfect setting for your wedding. Browse dozens of venues from across the city all in one place, send an inquiry, and speak directly to the owner with 2book. Whether you’re pulling out all the stops or throwing a more intimate ceremony for you and your friends and family, 2book has you covered. In our wedding venues section, you’ll find spaces for parties of every size from 15 to 500, available at a broad range of prices, allowing more people to find a dedicated venue that meets their needs. Take a look at our listings today and start dreaming of your perfect wedding. If you’re stumped for ideas for your wedding, finding out what venues you like and don’t like is a great starting point for planning your big day. Do you want an outdoor wedding under marquees? What about a more elegant sit-down affair in a five-star hotel or an award-winning restaurant? From bars to rooftop pools and 46,000 ft2 lawns, the 2book range has it all. You’ll be able to see at a glance what’s available for parties of your size, making finding the perfect setting for saying ‘I do’ easier than ever. Many of our venues come complete with a range of equipment included, such as public address systems, projectors, stages, wireless internet and more, making it simpler to put your big day together. Take a look at the 2book range today and start imagining what your perfect wedding day could be like. Make an inquiry with a venue owner directly, or get in touch with us on (852) 3970 4731 with any questions. You can also send us your questions through our enquiry page or via email at general@2book.co.